VietNamNet Bridge – Vietnam War photographer Nick Ut received Achievement in Photojournalism at the 12th Annual Lucie Awards which was held in New York, the US on November 2 for his iconic portrayal of ‘Napalm Girl’ Phan Thi Kim Phuc. The photo features a naked 9-year-old girl Phan Thi Kim Phuc, running toward the camera from a South Vietnamese Napalm attack at Trang Bang Village during the Vietnam War. Over the past 40 years, the “Napalm Girl” has received a number of prestigious awards such as the Pulitzer and World Press Photo and is one of the 100 influential photos in the 20th century. Associated Press (AP) photographer Nick Ut said that a famous American journalist and himself will return to Vietnam in December to implement a photographic project on the Me Kong River. In addition, on the occasion of the 40th anniversary of South Vietnam Liberation and National Reunification Day (April 30), Nick Ut and his friends will visit Trang Bang district, Tay Ninh province where the famous photo “Napalm girl” was taken. 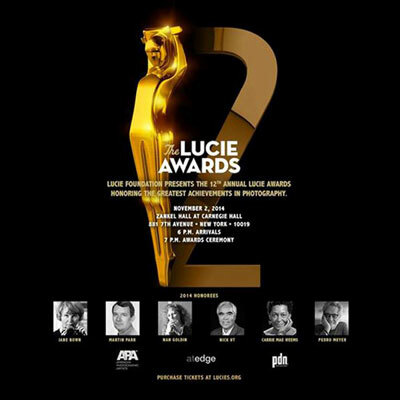 The Lucie Awards, the signature program of Lucie Foundation, is the premiere annual event honouring the greatest achievements in photography. The photography community around the globe pays tribute to the most outstanding people in the field. Each year, the Lucie Advisory Board nominates deserving individuals across a variety of categories. Once these nominations have been received, an honoree in each category is selected.